CBRE today released its 61st CBRE Japan Cap Rate Survey along with the Q3 2018 edition of its Japan Investment MarketView. Global commercial real estate transaction volume increased by 1.2% y-o-y in Q3 2018 to US$ 254 billion. 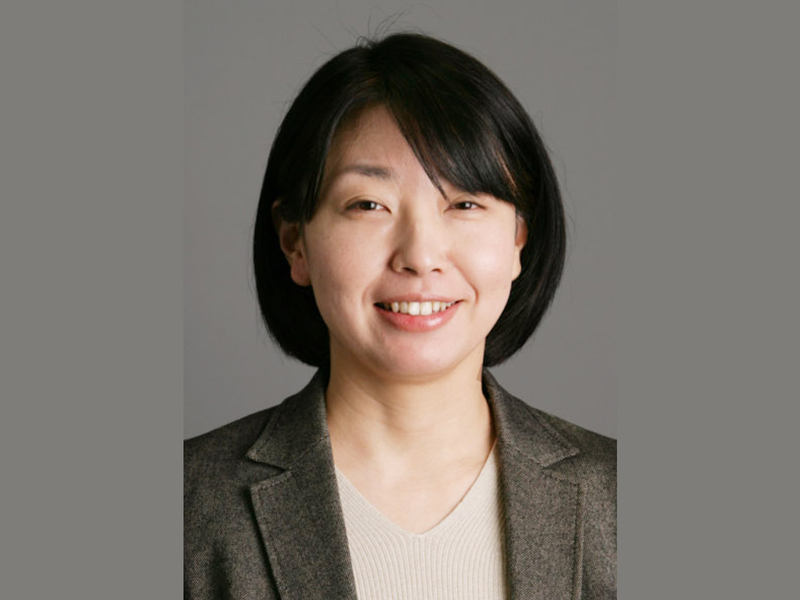 Asuka Honda, Associate Director of CBRE Research reports that the rise was mainly due to several large mergers and acquisitions in the U.S. Meanwhile, volume in Asia Pacific decreased by 29% y-oy, mainly driven by China where investor sentiment was somewhat affected by rising trade tensions and stock market volatility. For Q3 2018, commercial real estate transaction volume fell 25% y-o-y to JPY 592 billion in Japan. Investment by J-REITs was up year-on-year, but activity by other domestic and overseas investors fell below the previous year’s level. "Nevertheless, investor appetite remains strong and the period saw the completion of several large transactions, mainly by J-REITs and overseas investors," says Honda. CBRE's latest investor survey found that expected yields in Tokyo had fallen to record lows for offices (Otemachi) and retail (Ginza Chuo-dori). There was no change for the other asset types. Expected yields for offices outside Tokyo fell in four cities (Sendai, Nagoya, Osaka, Fukuoka), with yields in three of these cities (excluding Osaka) falling to their lowest levels since the surveys began. CBRE Tankan Survey (Tokyo): For Grade A office buildings, the Diffusion Index (DI) for "lending attitude of financial institutions" worsened, but there was no significant change in investor appetite. The "vacancy rate" DI for Large MultiTenant Logistics Properties improved for the second consecutive quarter. "Solid tenant demand allayed fears of higher vacancy resulting from new supply," says Honda. 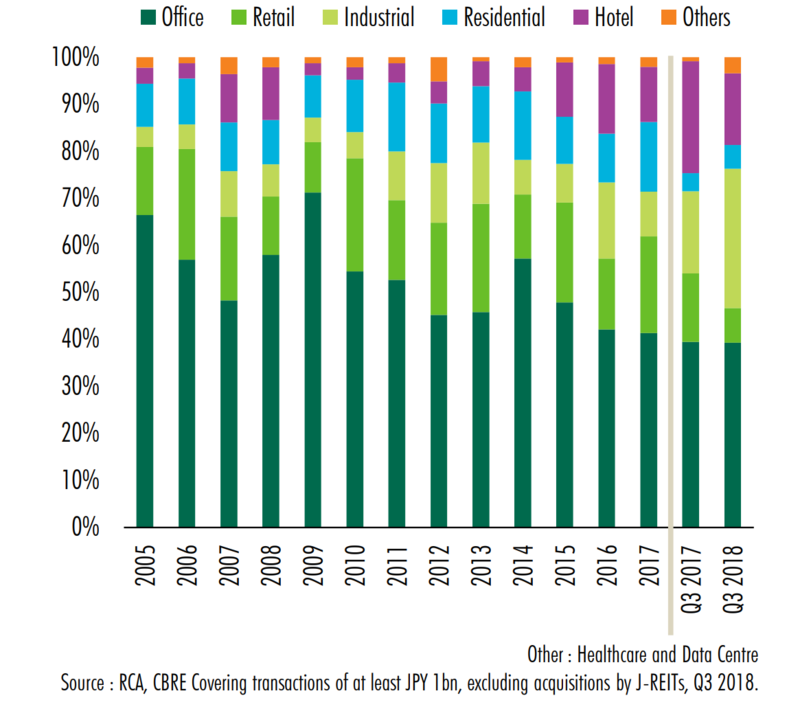 Cumulative commercial real estate transaction volume in Japan from Q1 2018 to Q3 2018 fell 18% y-o-y to JPY 2.19 trillion, mainly due to a decline in large transactions according to CBRE. "Although lenders are becoming slightly more cautious, sellers remain rather bullish on pricing, meaning that transactions tend to take longer to conclude. Transaction volume for full-year 2018 is therefore expected to register a year-on-year decline," says Honda.